There will likely be much written in the coming weeks about the detail contained in the long-awaited Golding Report reviewing Jamaica's Relations with CARICOM and CARIFORUM. This is because not since the Ramphal report, 'Time for Action', published just over a quarter of a century ago, has such clear and incisive language been used about the failings of the regional integration process, and what is needed by way of remedy. 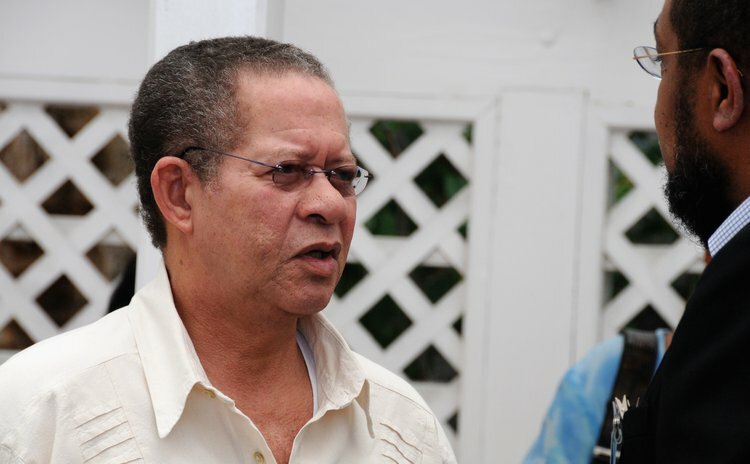 The report, produced under the Chairmanship of the former Jamaican Prime Minister, Bruce Golding, and finally tabled in the country's Parliament on February 7, does not pull its punches. It speaks about the region's historic failure to modernise, to act on its decisions, and the need to take the long overdue steps that are required if CARICOM is to become relevant to the way the region and the world now is. While the report makes 33 specific recommendations, its overall analysis goes to the heart of the region's present malaise. Importantly, it asks questions about regional integration process' failure to deliver observable social gains; questions why there has been a lack of political will to do much more than agree that something must be done; and observes CARICOM's failure to involve the private sector and Caribbean citizens, particularly the young. It also expresses concern about the regional institution's lack of accountability, its cost, and an institutional structure that leaves the CARICOM Secretariat without any executive authority to act. Above all, its conclusions attest to the absence for more than a decade of regional leadership and vision at a time when the world and international relationships have been changing, and economic globalisation has been reshaping the region's economy and its future. The Golding report suggests, almost bluntly, that each CARICOM member state should now commit to establishing a 'specific, time-bound, measurable and verifiable' action programme to make the Caribbean Single Market and Economy (CSME) 'fully established and operational' within the next five years. If this does happen, the report's authors say, Jamaica 'should withdraw from the CSME, but seek to remain a member of CARICOM'. Such a response, it suggests, could lead to new trading arrangements with CARICOM states and consideration of new economic alignments with non-CARICOM partners in the northern Caribbean. Equally, the report contains many specific recommendations that touch on trade, free movement and a host of technical matters, some of which would require changes to the Treaty of Chaguaramas. Inevitably some will label this as the start of a Jamaican form of Brexit, but this would be to miss the fundamental nature of the issues it raises. For example, a paragraph in the executive summary describes succinctly the failure of the regional process to deliver positive outcomes for the ordinary citizens of the region. 'The people of CARICOM are confounded by the fact that their adventure into this "consortium" does not, in many respects, appear to correspond with demonstrable success or improvement in the quality of their lives. CARICOM's share of world trade has fallen in growth, its output has been anemic and too many of its people remain poor, jobless and hopeless. Jamaica is more than a microcosm of that underachievement. Many of us are inclined to blame it on our "failed marriage" because we were led to belive that integration would have been good for us and would have created opportunities, provided benefits we would not otherwise have been able to secure', the report says. These are words that anyone who has gone in to politics to serve would do well to consider. In recent years the impression on the Caribbean street is that avarice, political tribalism, and ego, masquerading as national self-interest and sovereignty, has replaced any genuine desire to lift the citizens of the region up. It is a view common among those young people, and particularly women who would be tomorrow's leaders, but see little changing unless they conform to 'rules' that have altered little since independence. The report also gives voice to another widespread frustration: the opacity of the regional process. The Golding report stresses that a part of the solution lies not just be having in place review, oversight and reporting functions, but as the 1992 Ramphal West Indian Commission before suggested, a stronger, reliably funded CARICOM Secretariat with a Secretary General who has greater executive authority alongside accountability for delivery. In tabling the report, Prime Minister Holness said that it recommendations and the proposed five-year time line in which Jamaica wishes to see results achieved, had been carefully noted. Failure to achieve this, he told Parliament, would "put into question the viability of Jamaica's continued participation in what would then have to be recognised as an ineffective CARICOM Single Market process, lacking the true commitment of member states. In such circumstances, one would then have to consider how best Jamaica would be situated in the CARICOM model". That said, the report has yet to be debated in Jamaica's Parliament. This may not be plain sailing as the Island's Minister of Foreign Affairs, Kamina Johnson Smith, has made clear that discussions on the report in Cabinet have been "robust and substantive" and that its members had not accepted all of what it proposes. The opposition has also to express a view. Despite this, the Golding report's language and recommendations are relevant to all who care about the future of the region. From August on, Jamaica will hold the rotating Chairmanship of CARICOM. How Mr Holness takes the findings of the Golding report forward at that time remains to be seen, as does the willingness of other Heads of Government to genuinely address the issues it raises. As its authors observe, if there are no substantive outcomes 'the inevitable conclusion that must be drawn …. is that either the material conditions for creating a CSME or the will to create it is simply not there'. If that is the case, it is conceivable that Jamaica and perhaps others will begin to seek alternative relationships.